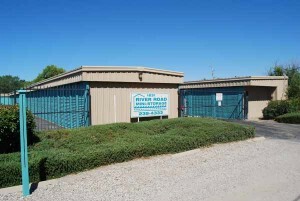 River Road Mini Storage is a Paso Robles self storage facility located in right in downtown . Our convenient location offers three storage unit sizes to accommodate your storage needs. Some of our security features include perimeter fencing, security lighting, monitored cameras and personal gate code access. All units have wide drive-up access and are accessible seven days a week. If you have items to store, turn to the experts at River Road Mini Storage where we are dedicated to making the needs of our customers a top priority. We will help you choose a self storage space that will best fit your needs, in a friendly and courteous manner. We have the right space for you and offer easy payment options. Our Paso Robles self storage facility was started in 1984 and has been owned by the current owners since 2004. Our goal is to supply Paso Robles with a friendly, clean, and secure facility at a reasonable price. Rick Runnells has been a local business owner since 1986 and has 25 years experience with customer service and commercial property. *20% off your first month’s rent with our online coupon!